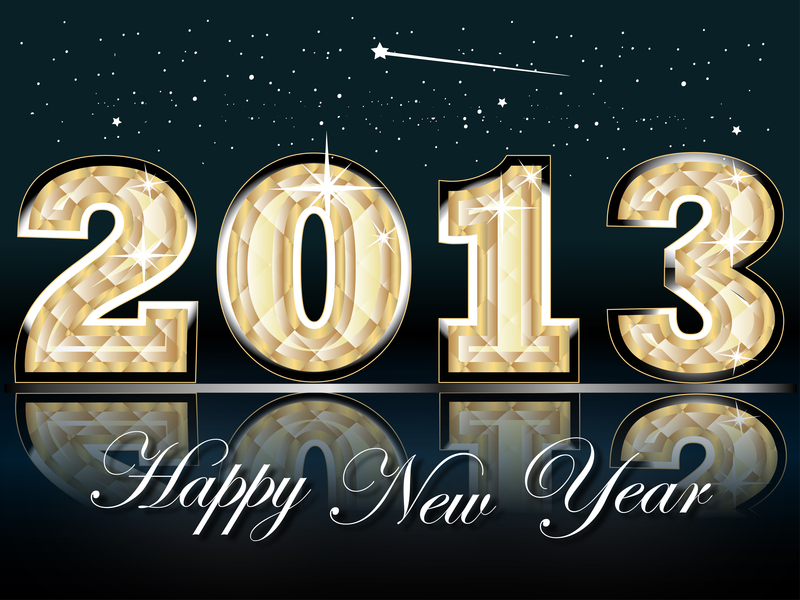 From 2012 to 2013: Happy New Year! The new year is here! And with it comes the chance to start anew. Time for reflection and introspection. The opportunity to take inventory, evaluate, and re-evaluate where you are, where you’re going, where you’d like to be, and what you need to do to get there. It’s goal-setting time or recognition time for goals you’ve achieved. If it didn’t work in 2012, don’t bring it into 2013. If it created a lot of drama in 2012, abolish it and look for ways to alleviate/avoid it altogether in 2013. If you didn’t like it or wanted to change it in 2012, 2013 is the best time to get started. Instead of making resolutions, commit to life or lifestyle changes. But be realistic. If you’re doing it because it sounds good or because you’re seeking approval from others, you probably won’t be committed to it beyond the first few weeks or months of the year. Let it be something meaningful. Let it be something you truly want to do. If it’s something that benefits the community, environment, or larger society—all the more better. 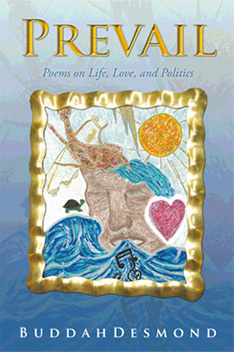 Looking back on 2012, three of my biggest accomplishments were 1) successfully completing my MBA, 2) my partner and I celebrating our first year of marriage, and 3) publishing my first volume of poetry Prevail: Poems on Life, Love, and Politics. 2012 afforded me the opportunity to form deeper bonds with family and friends. I was able to network, connect, and learn from so many people in various stages of their careers in the arts and other fields. I was able to devote more time to my passions (the arts, cooking/baking, etc.). I got back into my fitness regime and stuck with it for most of the year (at least until my academic life took over in the latter months of the year). While I didn’t reach all of my fitness goals in 2012, I will continue on with them in 2013. Another blessing was hearing the news that my mother, who is a three-time cancer survivor, is 100% cancer free. How relieved we all were to receive this news. We hope and pray mom’s cancer remission. There were many struggles in 2012, but I’m not going to harp on them. I’m leaving them behind but taking the lessons and wisdom forward. I will be more patient. Will place more trust in my intuition and the voice within. I will continue to work to maintain my cool, my calm when situations are heated (approaching these situations with a level-head versus a hot-head is always preferred). I will give myself more credit and kudos for my accomplishments, skills, talents, and abilities (leaving self-doubt in the dust). I will stop forsaking my well-being for the betterment of other things (institutions, organizations) and people (self-neglect doesn’t lead to progression or growth). In 2013 my (general) goals are: 1) looking for, participating in, and/or creating opportunities to promote my work and myself as an artist (and aspiring renaissance man), prayerfully opportunities that will challenge and strengthen me creatively, socially, mentally, and personally, 2) being proactive and taking the necessary steps for optimal health, 3) doing more to give back to the community, 4) spending more time with family, friends, and godchildren, 5) building stronger connections with fans, followers, peers, and those I admire in the arts, and 6) and hopefully taking a real vacation. Before closing out, I’d like to take this moment to say from the basement floor of my heart THANK YOU to the readers/followers/supporters/fans for your ongoing love, praise, constructive criticism, and support. For this, I am extremely humbled, grateful, and blessed. I wish you and your families an amazing 2013! Let it be filled with love, joy, harmony, good health, and prosperity! This entry was posted in 2013, Happy New Year, Inspiration, Motivation by BuddahDesmond611. Bookmark the permalink.